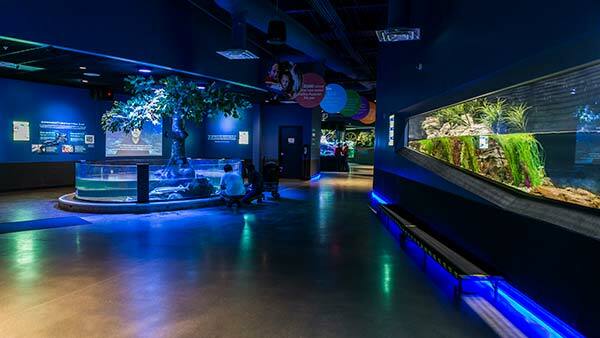 Our river turtles and rivers of the world interactive experience. 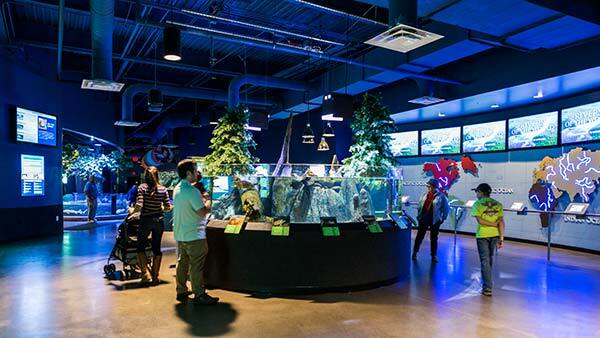 Our river turtles and Colorado River exhibits. Archer Fish and Bug exhibits. Our crocodiles and other exhibits. A few of our Rivers of the World exhibits. 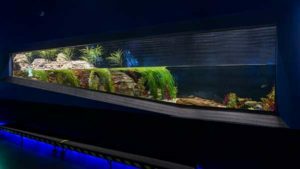 The Rivers of the World gallery features diverse freshwater fishes. This gallery contains our Rivers of the World interactive map, which will allow you to locate and learn about the world's rivers. 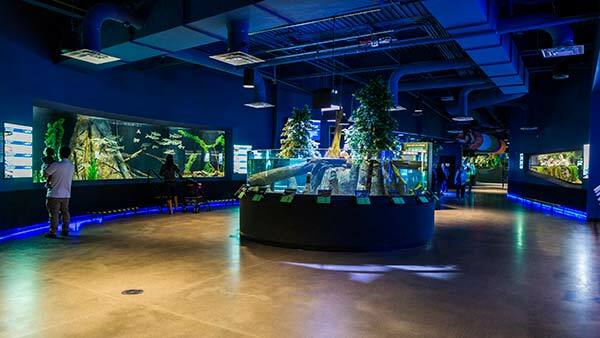 This gallery contains over 100,000 gallons of freshwater in over 19 exhibits. Freshwater turtles will greet you as you watch them dive, swim, and bask in the warmth at our turtle exhibit. 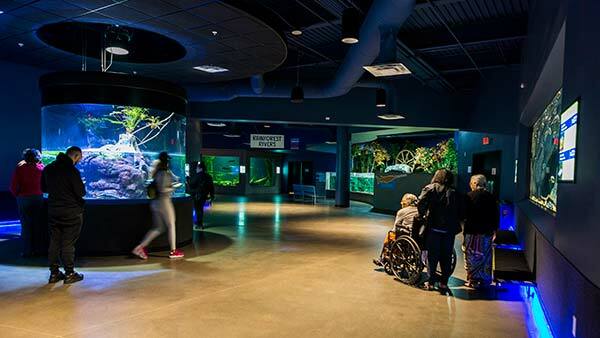 One of the most unique exhibits is our interactive sturgeon touch pool, Sturgeon Cove. Here you may touch and interact with our amazing Russian Sturgeon. These gentle giants can grow to lengths of up to 7 feet long and weigh as much as 250 pounds. 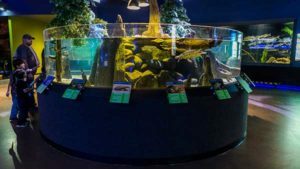 Within our Rivers of the World gallery, Odysea Aquarium is very proud to showcase our partnerships with both Arizona Game & Fish and the Phoenix Herpetological Society. 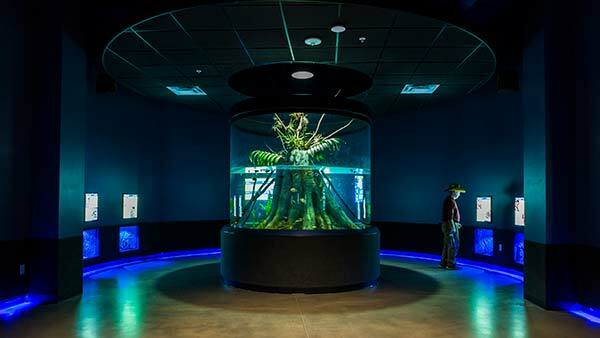 Our work with Arizona Game & Fish has allowed us to showcase both Apache and Gila trout on exhibit. Both of these are critically endangered species of native trout and by working with Arizona Game & Fish we hope to help support and advance conservation efforts for these species. Through our partnership with Phoenix Herpetological Society we are helping to house and foster Siamese crocodiles. This is a critically endangered species of crocodile and is considered one of the most endangered reptiles in the world. Once they reach a substantial size, they will return to Phoenix Herpetological Society and become part of the breeding program that will help sustain this species. 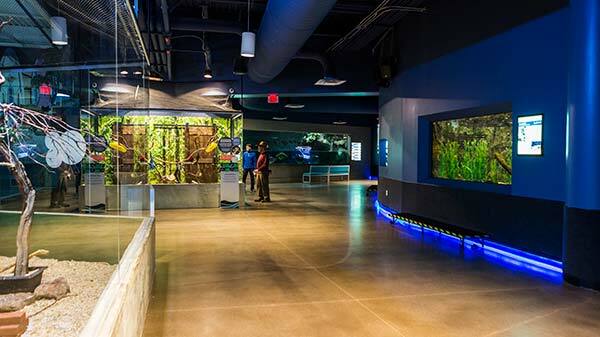 Past these exhibits you will see some beautiful freshwater fishes found in our local or national rivers. Some of these fish include our American Paddlefish. You will also see American giants like our Alligator Gar and Flathead Catfish. This gallery is also home to a few of our animal ambassadors including our parrots, toucan and sloth. Here you can see our Linnaeus Two Toed Sloth Squidney. She can be seen relaxing throughout the day or sometimes climbing around her home. Next to squidney is our parrot exhibit home to our four friendly parrots. Angel our Green-Wing Macaw, Nygel our Greater Sulfur Crested Cockatoo, Piper our Eclectus Parrot, and Calypso our young Blue and Gold Macaw. Across from parrot you will get to meet our two Keel-Billed Toucans Ricky and Lucy. Our freshwater gallery ends at our Asian Small Clawed Otter Exhibit. This exhibit houses eight Asian Small Clawed Otters. Our four males are named Gizmo, Tex, Diego, and Buckeye. Our four females are Ari, Jersey, Pepper, and Peanut. The younger romp of otters (Gizmo, Pepper, and Peanut) turned 2 years old February of 2018. The older romp of otters (Tex, Diego, Buckeye, Ari, and Jersey) turned 2 years old September of 2017. You can see our otters playing around all day or spending time with our animal care staff. 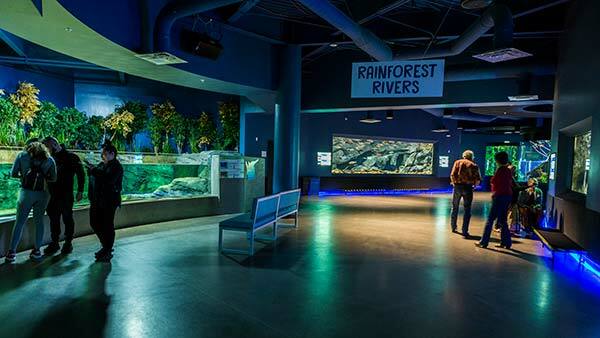 Did you know that our Rivers of the World gallery contains over 100,000 gallons of freshwater across 19 exhibits?